For the jubilee year, the organizing committee has made some changes. 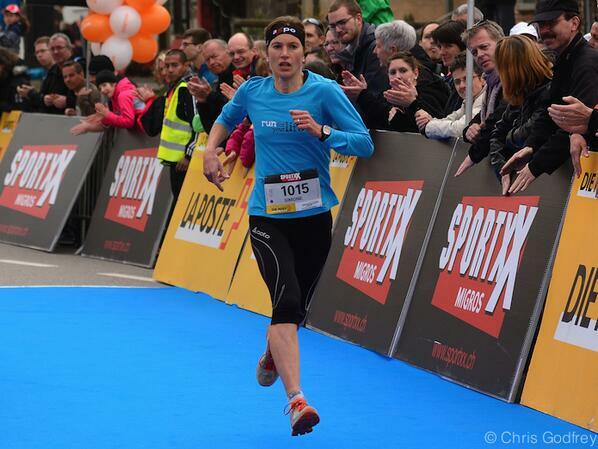 For the first time, the running events in the start / finish area were broadcast live on large format screens.The spectators were thus able to follow the entire race in this way.Even those who stayed at home could be present at the Kerzerslauf: the live stream was broadcast in real time on the internet.Another premiere was the cooperation with swiss-image.ch.The most beautiful pictures of the run were continuously available on the website.Another innovation concerned the start area where the procedure was changed, which made for an even smoother process. As was the case with Kerzers in the past, hardly anyone can say exactly after 50 years.It was 1959, when some gymnasts of the Tunverein Kerzers participated in the Bösinger run.I went as a spectator and I did not like it badly.I inquired of one of the persons in charge of the Bösinger run if there were other such runs in the region.This gave me the answer that there would be a runners' association, where the call with all races could be ordered.I have ordered this tender and in 1960 also took part in the Erlacher Waldlauf. In the autumn of 1960, I made the proposal to the board of the Turnverein Kerzers to organize a cross country run in Kerzers.The interest was not particularly great, the resistance and skepticism in any case greater.The board recommended that I take the organization myself by the hand.And they did not only mean to take the overall responsibility, but also to search for a suitable route, to undertake all organizational preparatory work and also to look for volunteers at the same time. I did not let go of my plan and started immediately with the preparatory work.A few days later I reported the date for the first cross country run of Kerzers to the runners' association.At Kramer and Huguenin I also ordered brochures for ordering the medals.The medal subject coined the title page of the tender which I authored and printed.Soon also sponsors were found who made the printing of the poster possible.Pleasingly, volunteers spontaneously volunteered to pitch the posters throughout the Seeland, in Freiburg and Bern.Gross was the amount of work for the mailing of tenders, because the demand was to my surprise very large.I then contacted a number of companies for flags to mark the route and race numbers had to be organized somehow.The company Knorr contacted me at the food stall at the destination Bouillon auszuschenken.After much back and forth, I also found three helpers who agreed to write the start cards for the runners.In order to observe the work of other organizers and to gain experience, I took part in events in Bösingen, Kirchberg, Grosshöchstetten and Rohrbach as a runner.When I then told the gymnastics club the status of my work and the number of registered runners, yes, there the attitude of the board changed in a flash.Everyone was excited and suddenly stood like a man behind me.They were ready to help and the various tasks were distributed immediately. 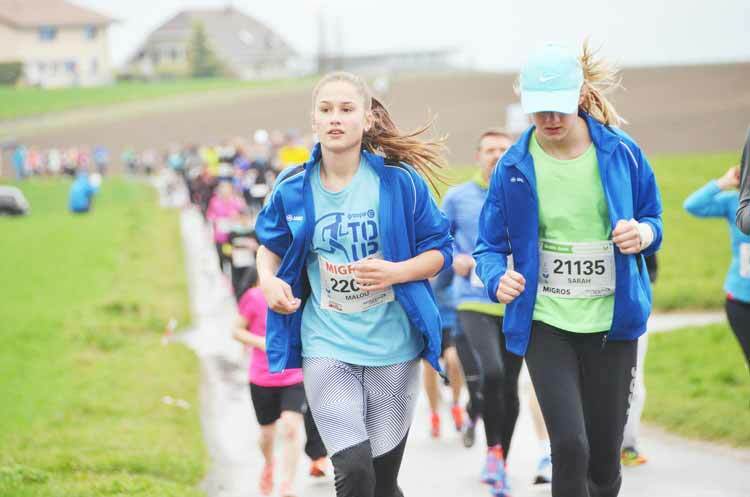 No fewer than 600 runners were at the start, which was a considerable field of competitors at that time.The event went smoothly and the volunteers did a great job.The cross-country run of Kerzers was born. The following four runs took place in approximately the same way.The distribution of the start cards has been changed.This was packed with the start number in an envelope and handed out to the runners before the race.Instead of Knorr, we were able to win the company Wander, which Ovomaltine handed out to the runners.In addition, the club operated a Buvette to offer the spectators a catering option.The cross country runs were always very well attended.The largest number of participants were 1100 runners. The end came in 1965. At the end of 1965 I had enough.The organizational effort was too much for me, because I was additionally engaged in the organizing committee for the Cantonal Gymnastics Festival in Kerzers during this time.I simply did not have the time to reconcile all my volunteer activities.In vain did the gymnastics club look for a suitable successor.Most of my office was associated with too much work and so the field run by Kerzers was buried after only five executions. 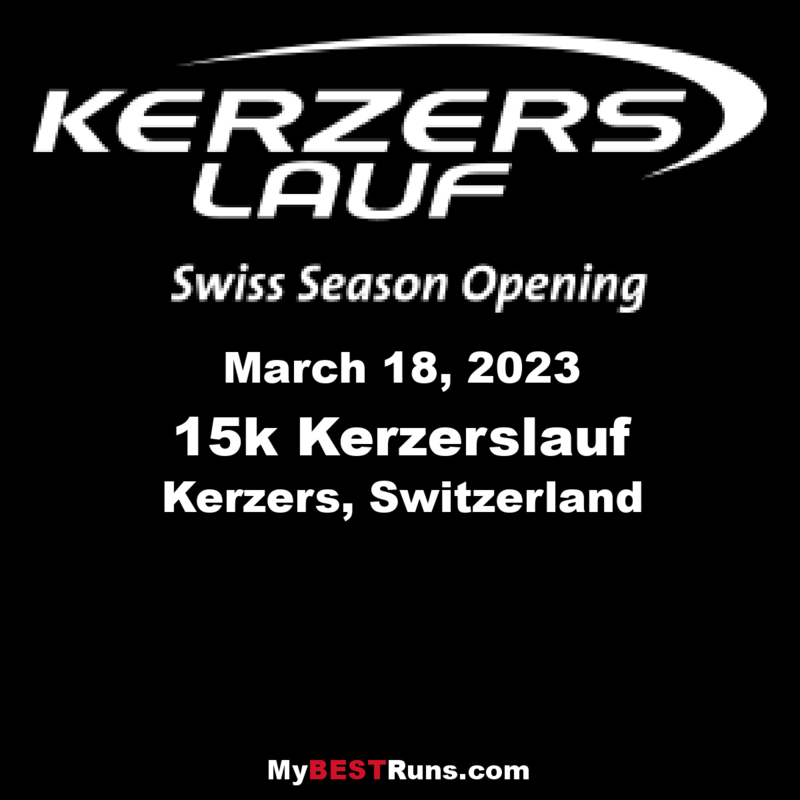 Today I believe that the idea of the former cross-country race and the later long-distance running of the Kerzerslauf was born.Much has changed over the years, but one thing has remained the same in organizing such events.It still needs people who enjoy sports, people who have a vision and are willing to take responsibility.